I haven't seen this yet but the trailer looks intriguing. Plus the inclusion of Ted Landsmark makes me think there will be some good discussion on diversity in architecture! So if you have some time while pulling those all-nighters in studio check it out! Be looking for a ton of posts from me over the summer! I've been saving up for when I have time to actually write. P.S. 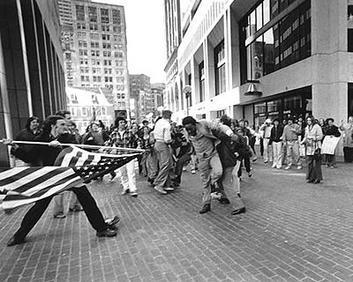 Random fact: Ted Landsmark is also the subject of this iconic photo called "The Soiling of Old Glory"